Date opened: Opening authorised 3.4.1849, not in timetable till May 1849. 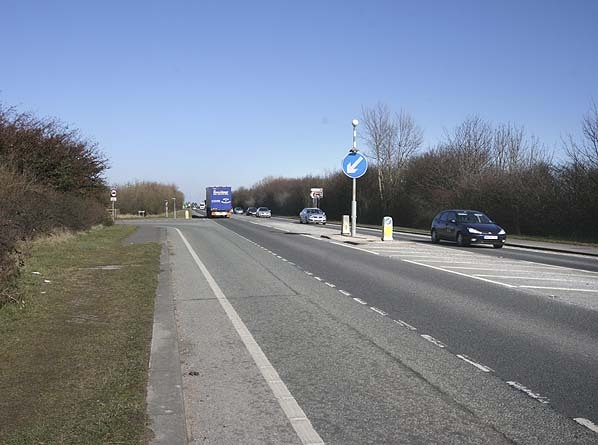 Location: The A16 now runs through the site. The station was at the junction of the A16 and the original alignment of Station Road. The goods yard entrance can still be seen at the east stub end of Station Road. Present state: The only direct evidence of the station is a railway gate post at the entrance to the former goods yard. The Great Northern Hotel is now the Riverside Hotel. Notes: Surfleet station was not ready for the opening of the loop line on 17th October 1848. Opening was authorised on 3rd April 1849 although it didn't appear in a timetable in May 1849. 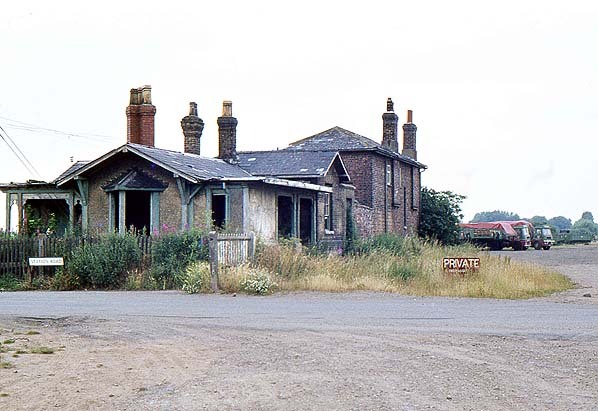 The station was sometimes known as Surfleet & Gosberton. The station was situated at the bottom of the village giving the main road through the village (Station Road) its name. 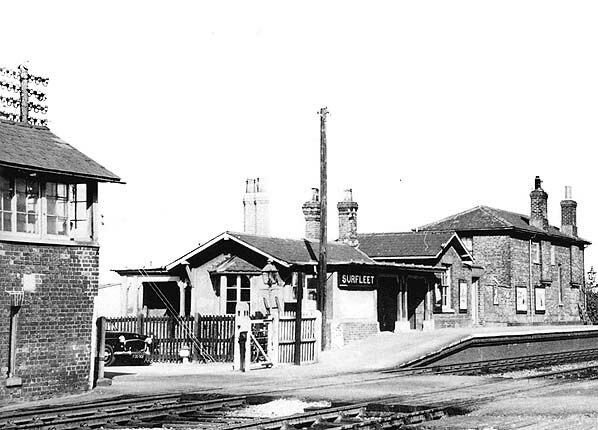 The main station building incorporated the stationmaster's house and booking office on the down platform and a waiting shelter on the up platform. The signal box was on the south side of the Station Road level crossing on the down side. This controlled the crossing and access to the goods yard which comprised two sidings on the down side behind the down platform, one serving a loading dock. There was a further siding on the up side running over the level crossing to a goods shed and a 1 ton crane. A small hotel was built in Station Road called the Great Northern Hotel. It retained this name until the late 1980s but is now called the Riverside Hotel. The River Glen, (a tributary of the canalised River Welland) which passed under the railway to the south of the station was used to transport goods from around Surfleet to the station. These consisted of mainly farm produce such as wheat, potatoes, sugar beet (went by train to Spalding sugar beet factory), flowers and barley. Fish and shellfish that were caught in The Wash and landed at Surfleet Reservoir were also transported from Surfleet Station, much of which left on an early train to be sold at Billingsgate Market in London the same day. 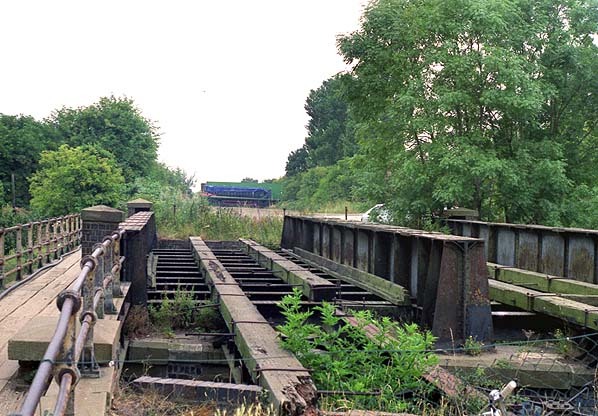 Freight trains continued to operate to Horncastle, via Woodhall Junction until 5th April 1971, when Bardney became the terminus of the line. The line between Lincoln & Bardney remained open for freight traffic serving the sugar beet factory adjacent to Bardney station. This traffic ceased in January 1981 by which date there were very few trains which ran 'as required' on Monday, Wednesday and Friday during the beet season (March - September); The last passenger train, a DMU railtour, ran into Bardney on 21st January 1981. The station site was sold to British Sugar in 1982 and all the track was lifted within a year. 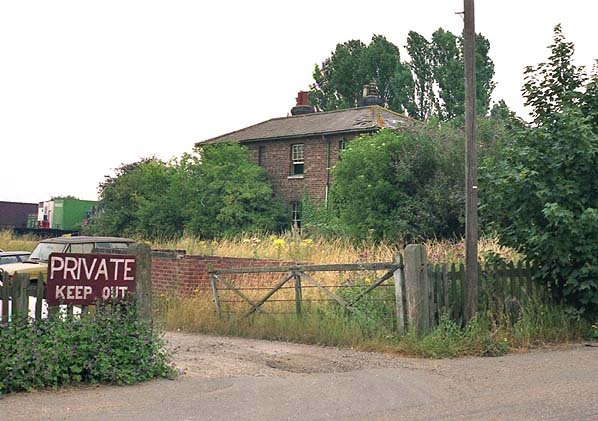 Entrance to Surfleet goods yard from Station Road in September 1990. The stationmaster's house is seen in the background. The site of Surfleet station looking north in March 2010.